Panama City has picked up 20 years’ worth of debris after Hurricane Michael. They’re still not finished. | Insurance Litigation Group, P.A. Panama City has picked up 20 years’ worth of debris after Hurricane Michael. They’re still not finished. According to the Palm Beach Post, in the midst of 90 days, Panama City has picked up 20 years’ worth of debris from the roadside. Since Hurricane Michael swept through the region with a grudge against trees, city contractors have picked up 2.5 million cubic yards worth of debris, Panama City solid waste manager Shane Daugherty said, with an estimated 1.5 million cubic yards to go. “This is an addition to the clean-up happening in the county. Bay County has picked up around 5 million cubic yards of debris, and when all is said and done officials are expecting to have about 9 million cubic yards of debris cleared,” said Mayor Greg Brudnicki. 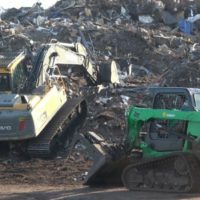 Daugherty said that while there is still plenty of vegetable debris out there, the majority has been collected and the second pass will likely include more construction debris. The second pass will remove large stumps, which requires special equipment. The city is also working with the Federal Emergency Management Agency to get a program approved that would allow city contractors to help clear fallen trees from private residences where the owner doesn’t have adequate insurance coverage or the means to handle their debris. To read the full article please visit, The Palm Beach Post. If you have experienced an insurance loss from Hurricane Michael, don’t be surprised if the insurance company’s first reaction is to claim that your damage is due to some pre-existing condition or assert that your claim is not covered under the terms of your policy or even cancel your policy based on recently-discovered “errors” in your application. But don’t worry. At ILG, our experienced and aggressive attorneys take the time to analyze and interpret your policy and understand the full measure of damages available to you. We work with construction experts, restoration professionals and others to determine the facts.